A recent update to the QSAR Toolbox, a free software application intended to support reproducible and transparent chemical hazard assessment, includes more data on sensitization, irritation and corrosion, and aquatic toxicity. The QSAR Toolbox was developed by the Organization for Economic Cooperation and Development, OECD, an international organization focused on improving the economic and social well-being of people around the world. The QSAR Toolbox is intended for use by governments, the chemical industry, and other stakeholders to help fill gaps in toxicity data needed for the assessment of chemical hazards. QSAR Toolbox users can retrieve experimental data, simulate metabolism, and profile properties of chemicals. The latest version of the QSAR Toolbox contains registration data up to November 2018 from the EU’s Registration, Evaluation, Authorization and Restriction of Chemicals (REACH) regulation. 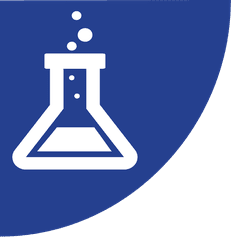 According to a European Chemicals Agency press release, selected experimental data points for more than 11,700 chemicals are now available in the QSAR Toolbox. A database on adsorption, distribution, metabolism, and elimination properties is another tool made available with the latest QSAR Toolbox update. The QSAR Toolbox is available online. To read the ECHA press release, visit the agency's website. More information about OECD appears on the organization’s website.